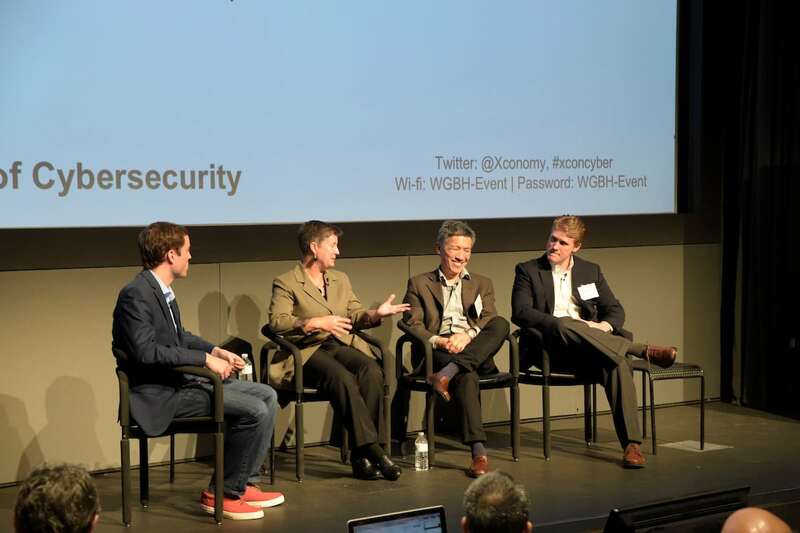 Speakers and attendees gathered at WGBH for Xconomy's "State of Cybersecurity" conference in Boston. 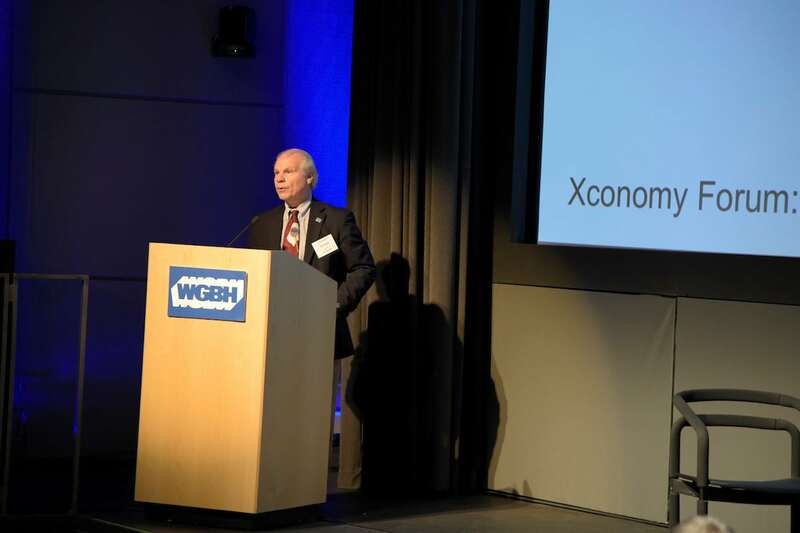 Phil Redo from WGBH Radio welcomed our guests and set the stage for a jam-packed afternoon of ideas and discussions. 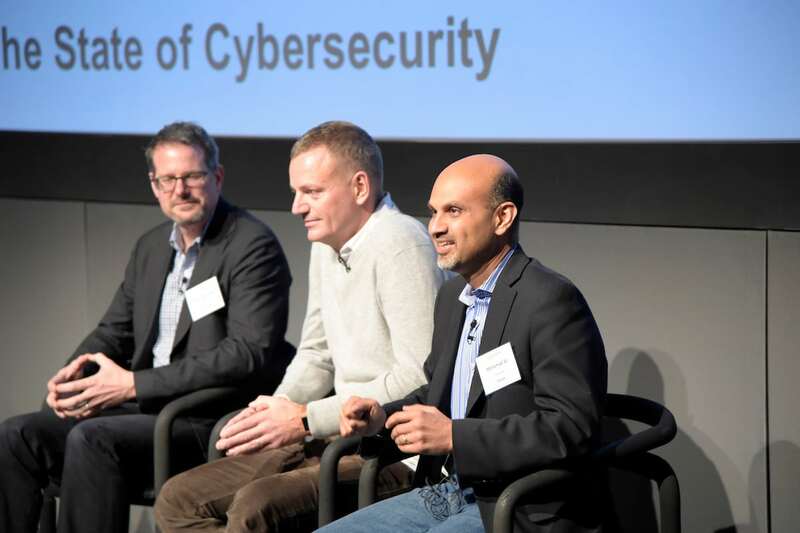 CyberArk's Udi Mokady said the security industry's mentality has shifted toward thinking like an attacker. But it's easier said than done. 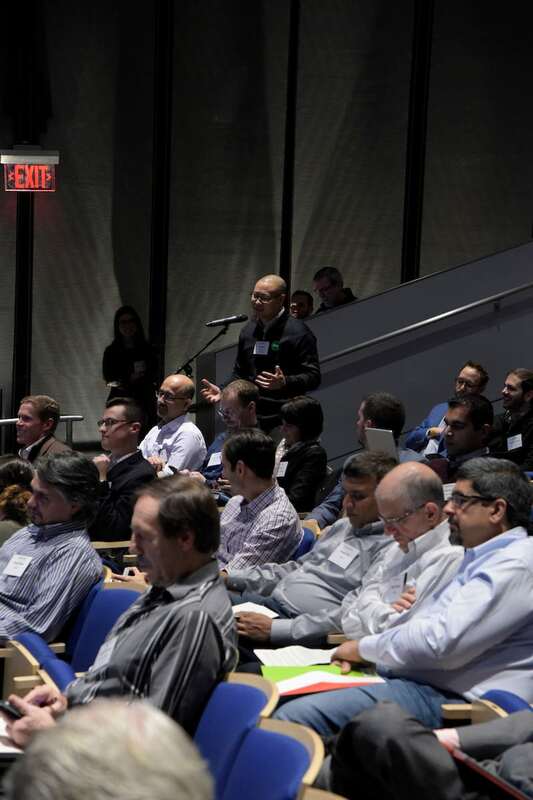 Our audience, ranging from bankers to entrepreneurs to board members, seemed very engaged all day. Cybereason's Israel Barak, at left, welcomed (from left to right) Chris Wysopal of Veracode, Christopher Ahlberg from Recorded Future, and Mohamad Ali of Carbonite. The topic: ransomware economics and strategies. OK, I admit cybersecurity is not the lightest topic. Hope our audience picked up some useful tips to help them. 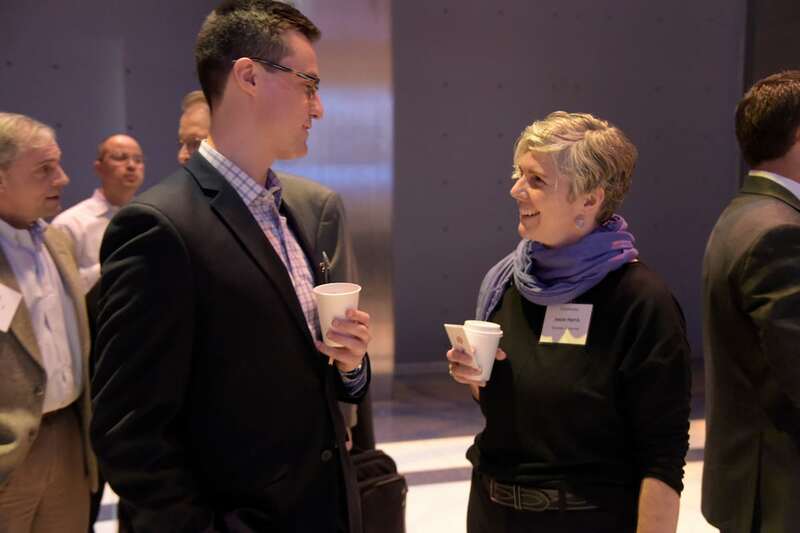 As always, we had plenty of time for networking---but could still use even more. See, it's not so dire. 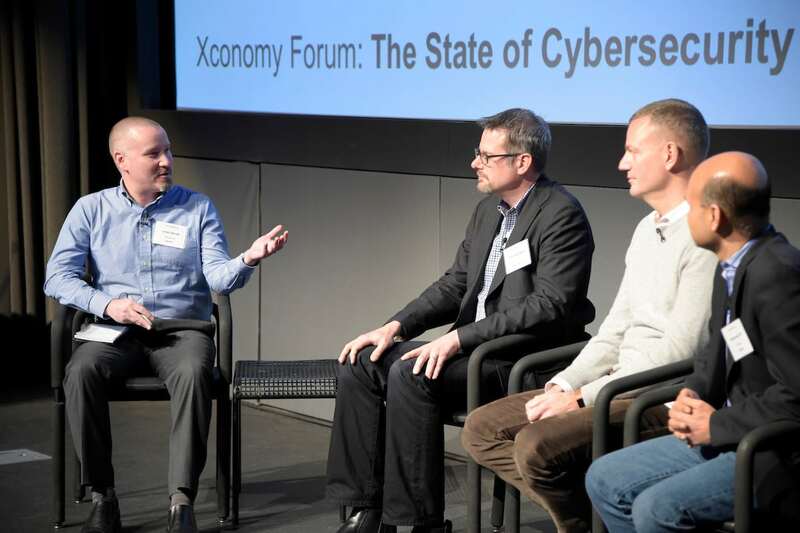 This was our Internet of Things security panel (left to right): Greg Dracon from .406 Ventures, Sophie Vandebroek of Xerox, Sandor Palfy from LogMeIn, and Paul Paget from Pwnie Express. 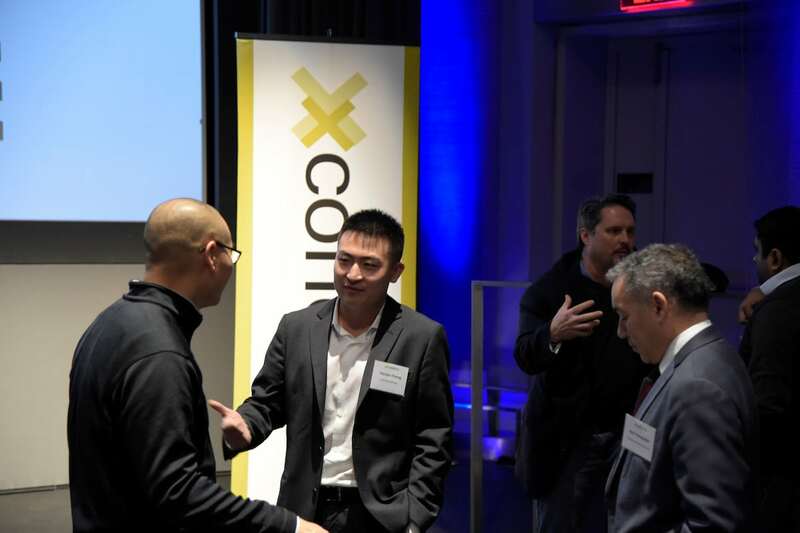 Fostering business and tech connections is part of the Xconomy Way. John Bruce of Resilient (an IBM Company) makes a point about whether one can really "automate" security. 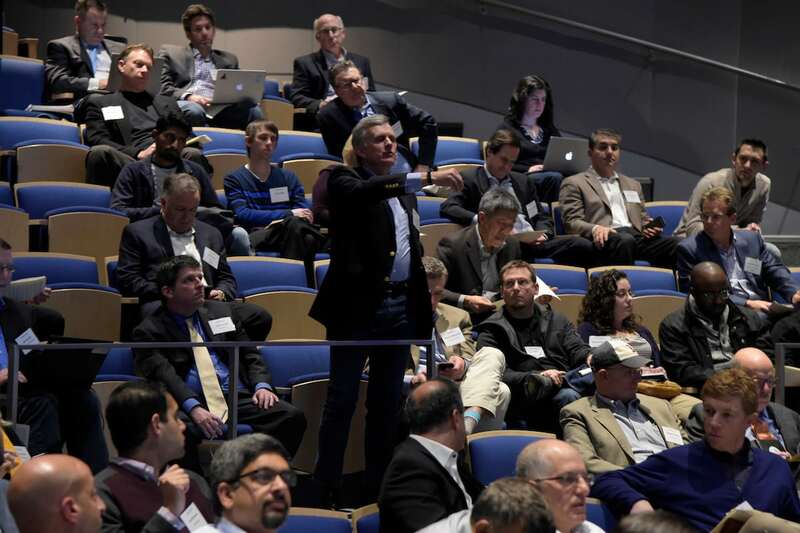 Xconomy's Bob Buderi is at left. 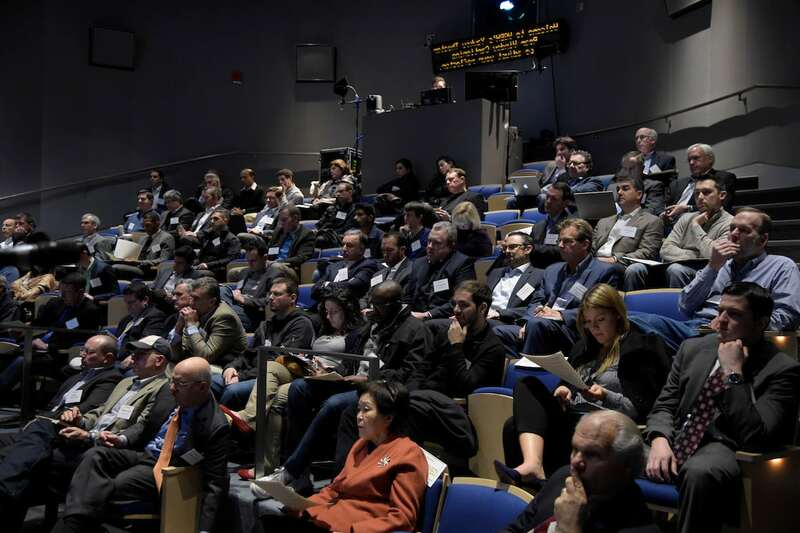 We counted more than 70 companies and organizations in attendance. Cybersecurity touches almost all realms of business in today's digital landscape. 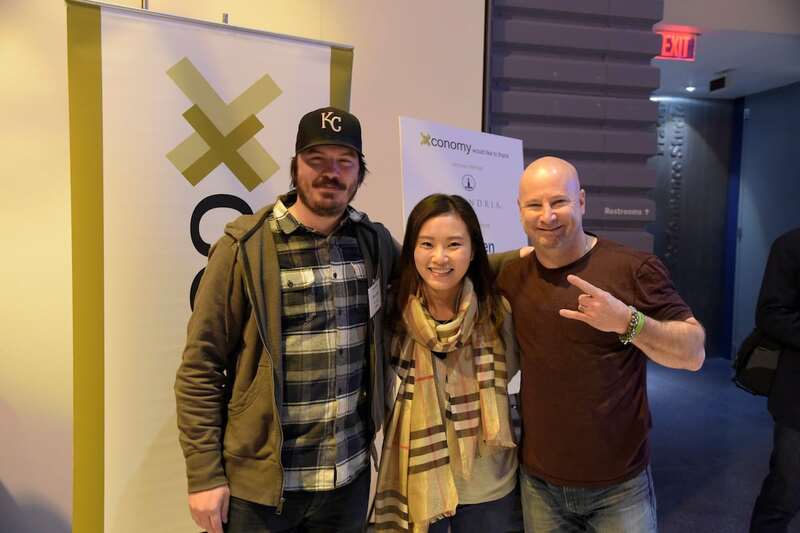 You never know who'll show up at an Xconomy event and drop some knowledge. We got the audience involved with questions early and often. Hey, that's Dug Song (of Duo Security). 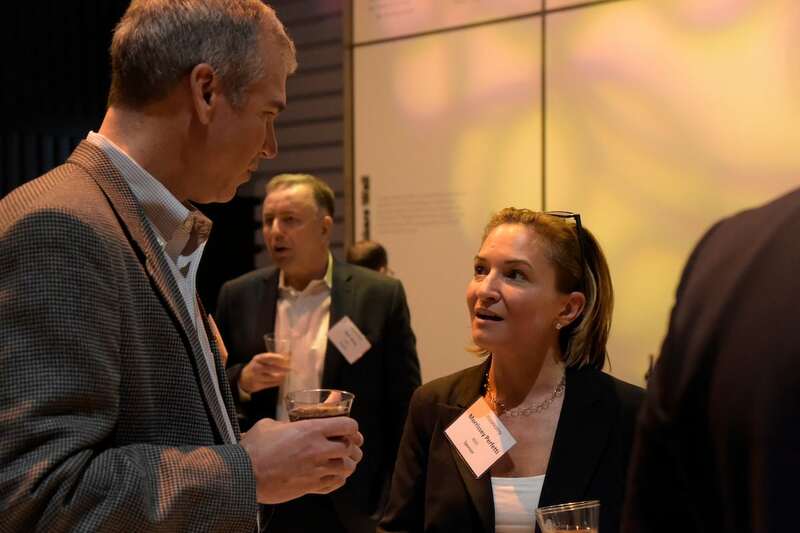 Schmoozing in front of the company booths is highly encouraged. 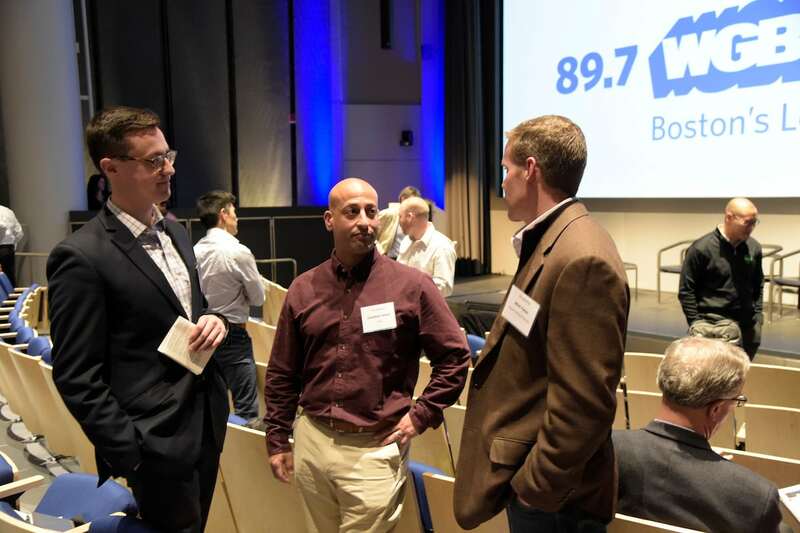 Did I mention WGBH Radio is at 89.7 FM? You can listen to local and national NPR programs there. 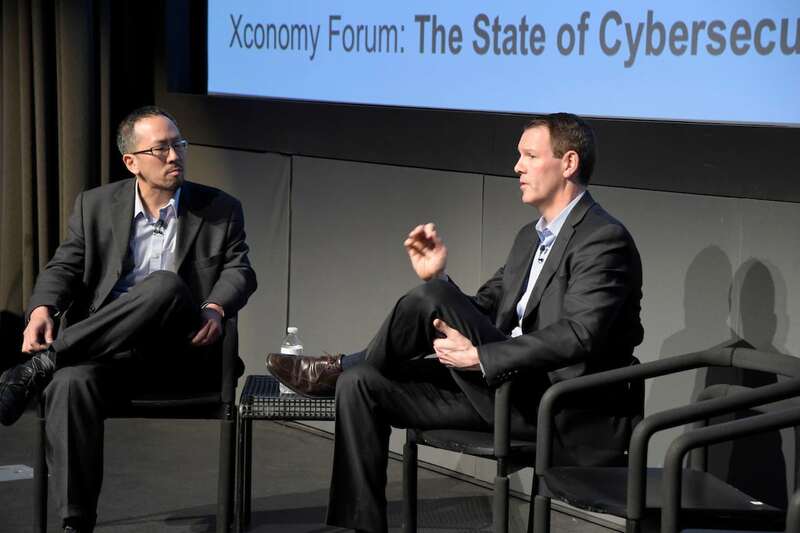 Carbon Black's Patrick Morley (right) talks about where the security landscape is headed, in a chat with yours truly. Yeah, we all have the same stylist. 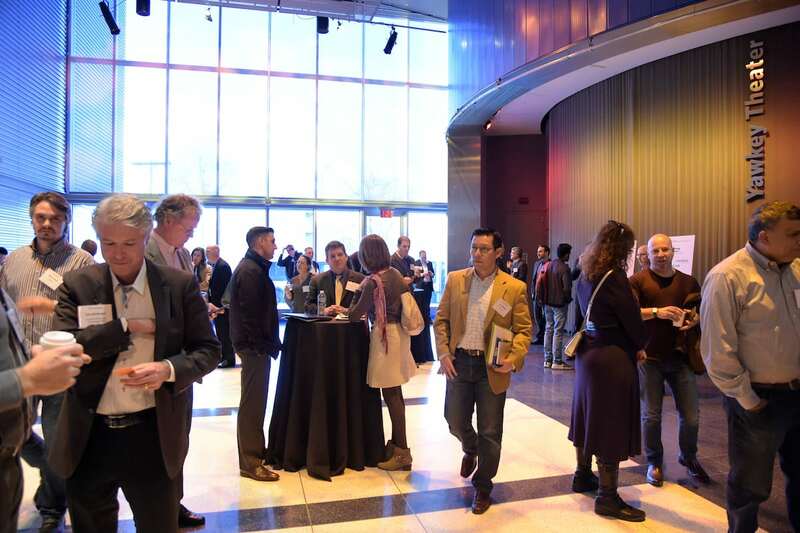 The WGBH lobby area was a perfect space for our networking breaks. Even got a little sun. 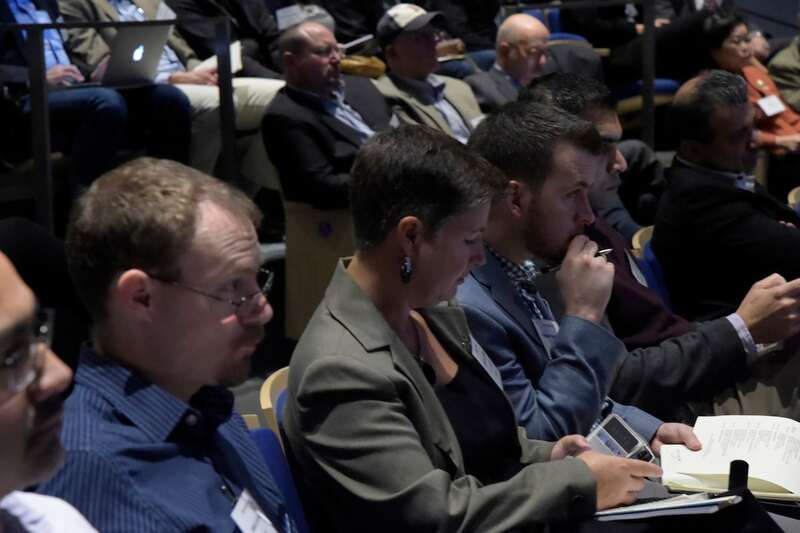 I have it on good authority that cyber experts came from as far away as Colorado to attend. 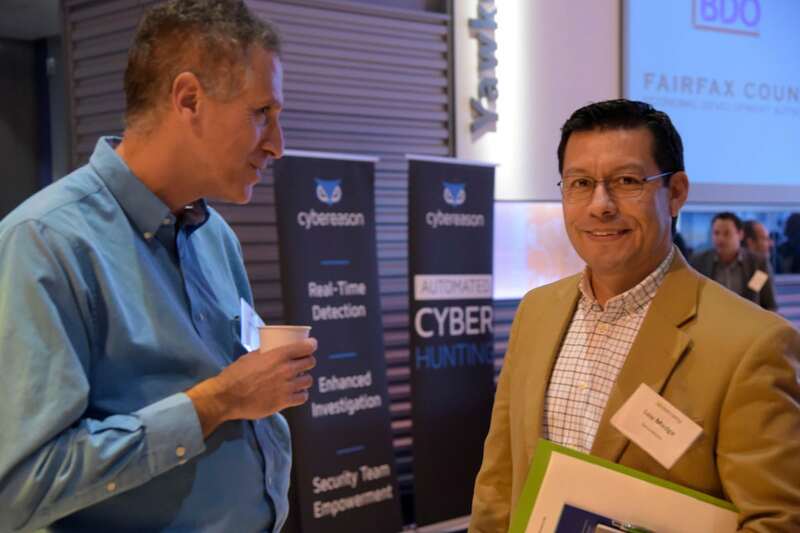 Carbonite's Mohamad Ali (right) said ransomware represents the "Uberization of the bad guy." Chris Wysopal (left) and Christopher Ahlberg (center) gave some strategies for dealing with it. 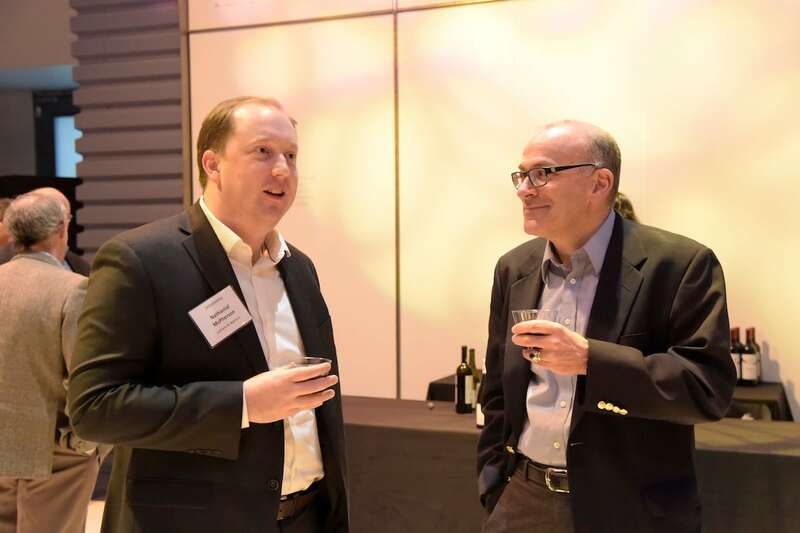 BitSight's Stephen Boyer (right) calculated security ratings for all our attendees' companies. 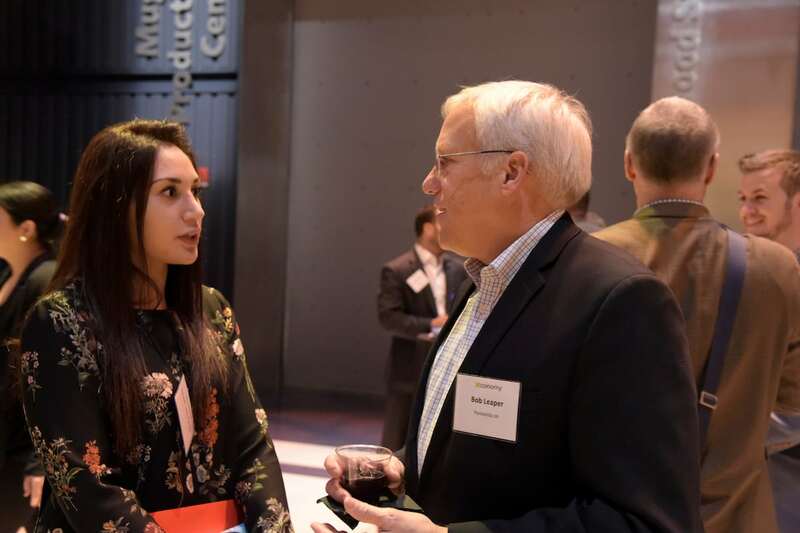 We got good questions from people like Steve MacLellan (who used to run IT security for Fidelity), on everything from policies to the role of artificial intelligence in security tech. 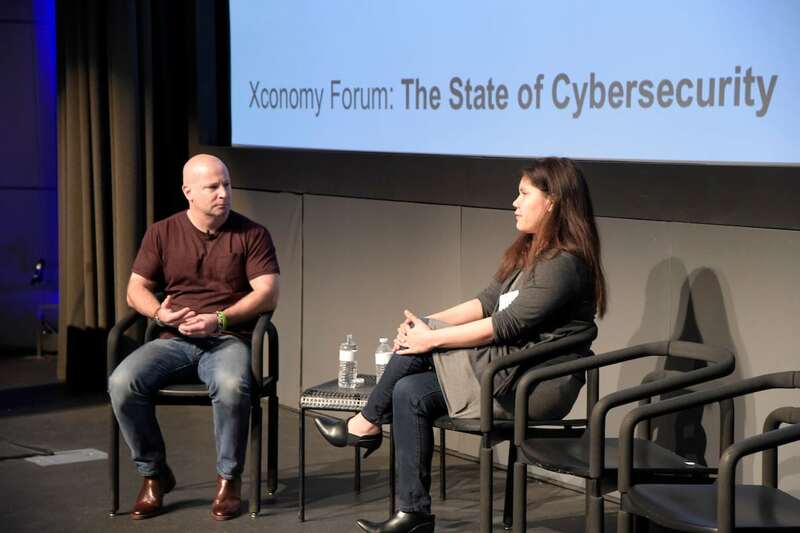 Komand's Jen Andre (right) chatted with Chris Lynch from Accomplice about her career as a security tech entrepreneur. We hope our audience heard some new ideas and made lots of new connections. 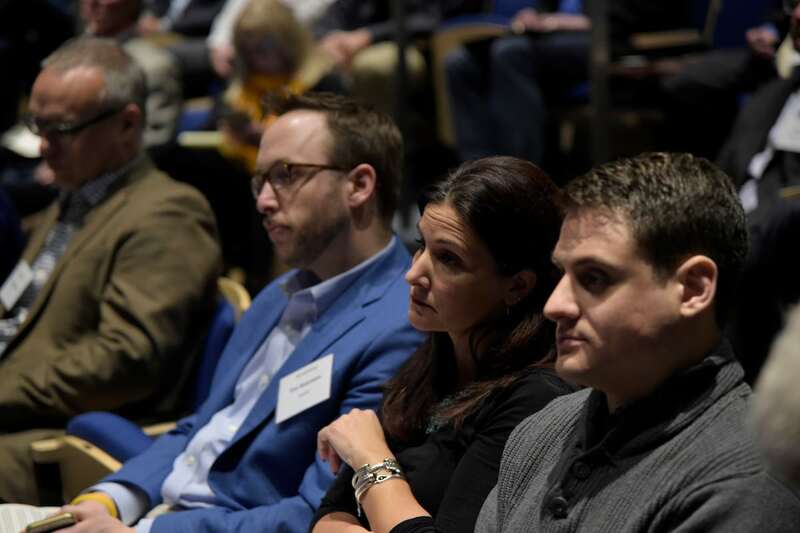 Talent gap panelists, from left to right: Duo's Dug Song, Black Duck Software's Lou Shipley, and Rapid7's Christina Luconi talked about what they're doing to address the talent shortage in cybersecurity, with Gary Hanley of Invest Northern Ireland (at far left). OK, after an intense afternoon of cyber discussions, who needs a drink? Everyone. "How secure are you?" panel from left to right: MITRE's Cynthia Wright, Imprivata's David Ting, and BitSight Technologies' Stephen Boyer sit down with Xconomy's Jeff Engel (at far left). 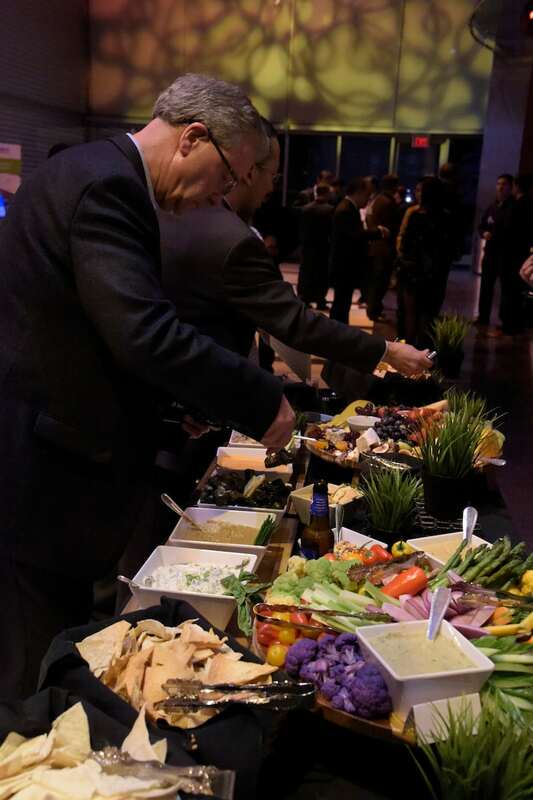 Another Xconomy tradition: the post-conference reception spread. 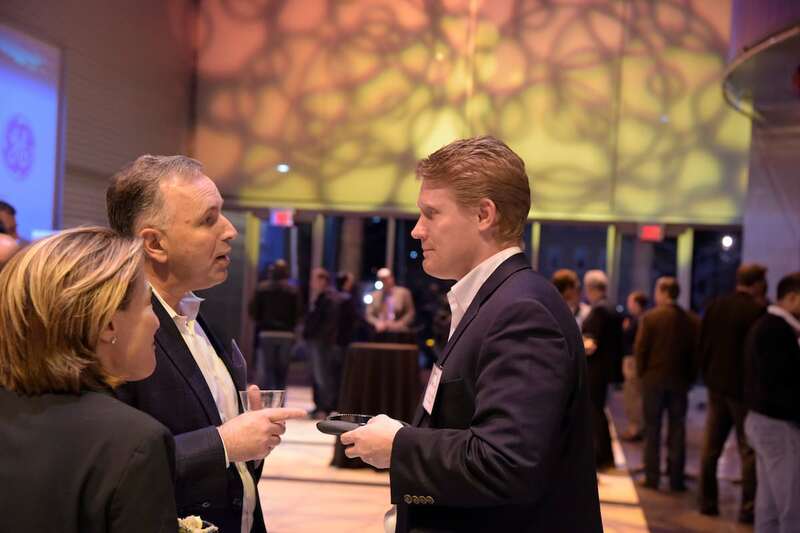 Attendees pose with tech investor Chris Lynch from venture firm Accomplice (at right). 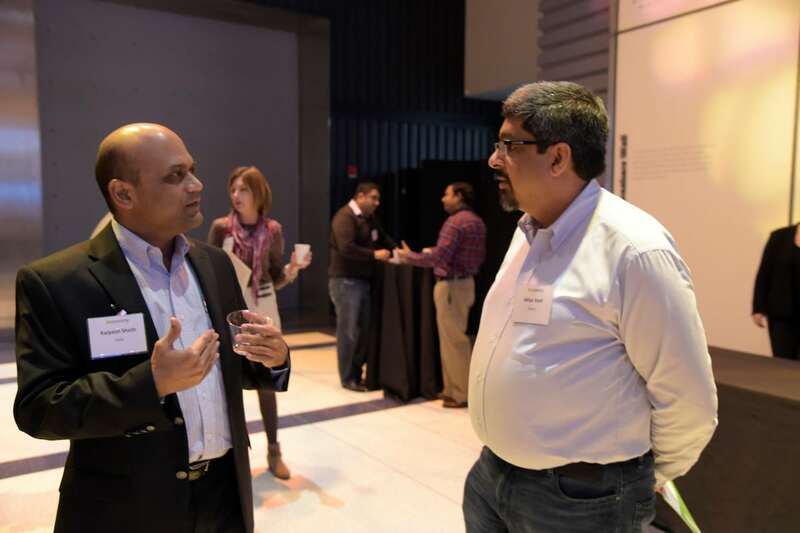 Kalpesh Sheth of Yaxa (left) chats with Uptycs' Milan Shah (hey, I went to school with that guy!). 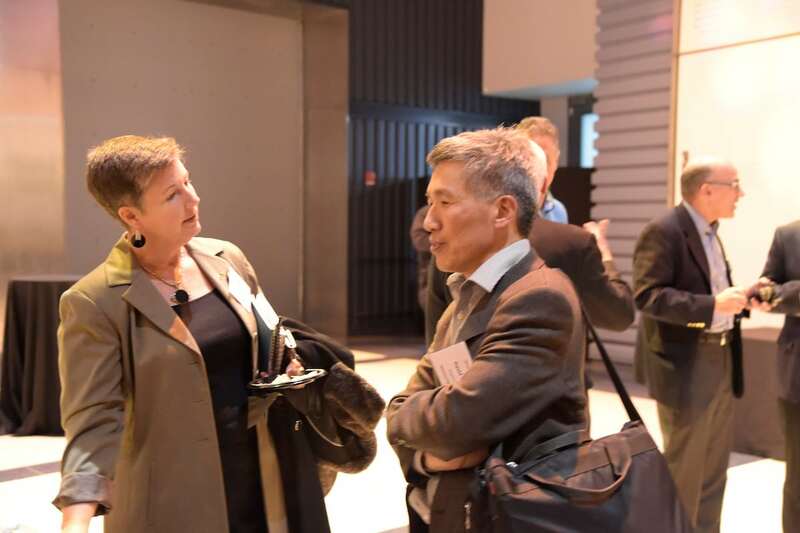 Cynthia Wright chats with David Ting at the post-event reception. ‘Tis the season to be careful. We live in uncertain times—made even more perilous by the specter of cyber attacks on every level of business. But there’s a lot that can be done to improve things. 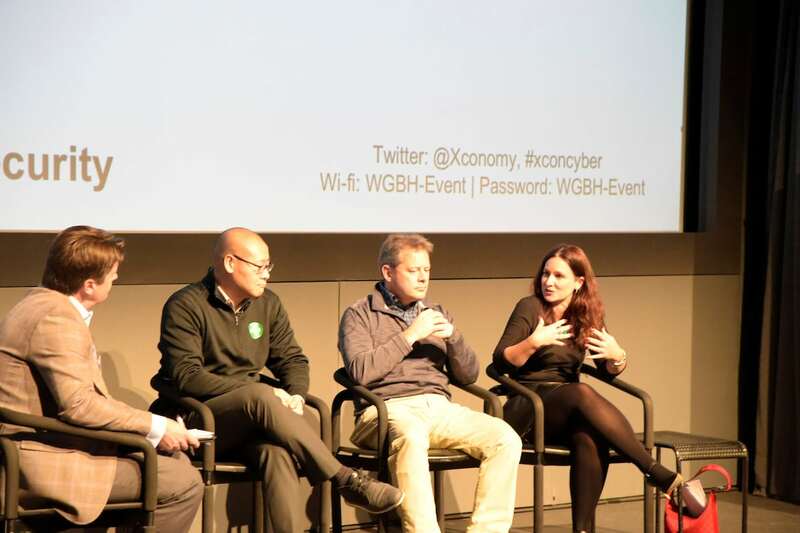 To dive deeper into the threats and opportunities, Xconomy convened the top names in cybersecurity from around Boston and beyond on Dec. 8. 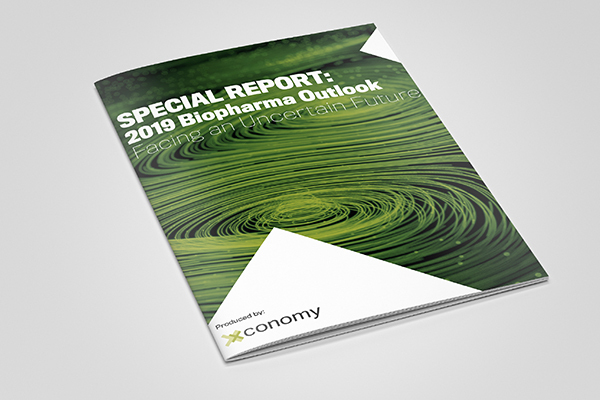 We put them in a room together with our business audience and hashed out some of the big issues in the field: the prospects for securing the Internet of Things; how to combat ransomware; the role of artificial intelligence and machine learning in security tech; the security policy landscape in the coming years; and much more. We can’t run events like this without a lot of help. 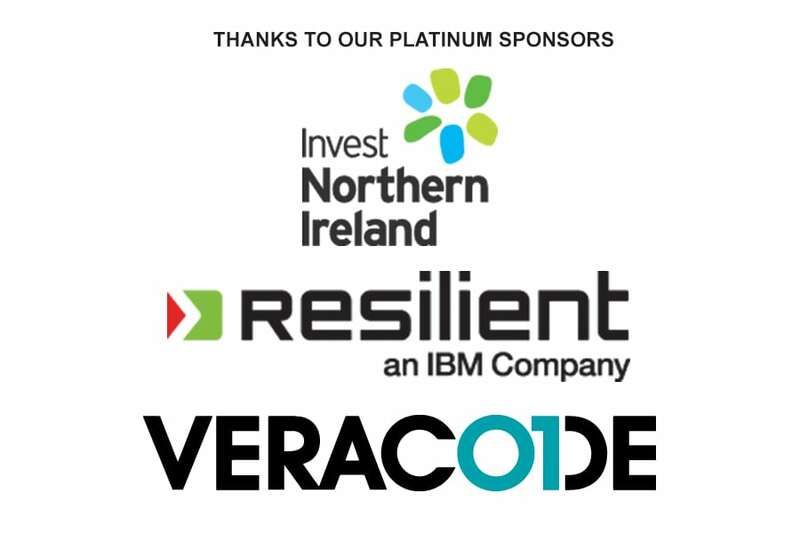 Big thanks to our platinum sponsors: Invest Northern Ireland, Resilient (an IBM Company), and Veracode. 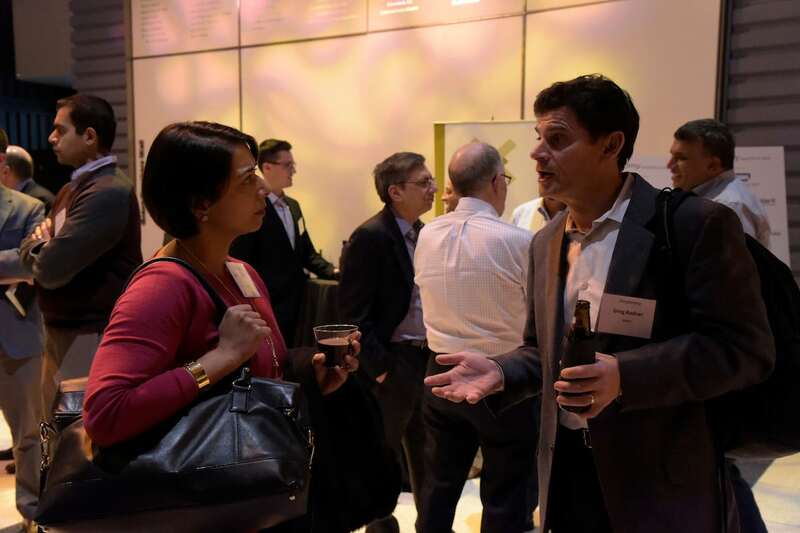 Thanks as well to our gold sponsors, Cybereason, GE, and Imprivata. And to our silver sponsors, BDO, BitSight Technologies, Fairfax County Economic Development Authority, and Northeastern University. 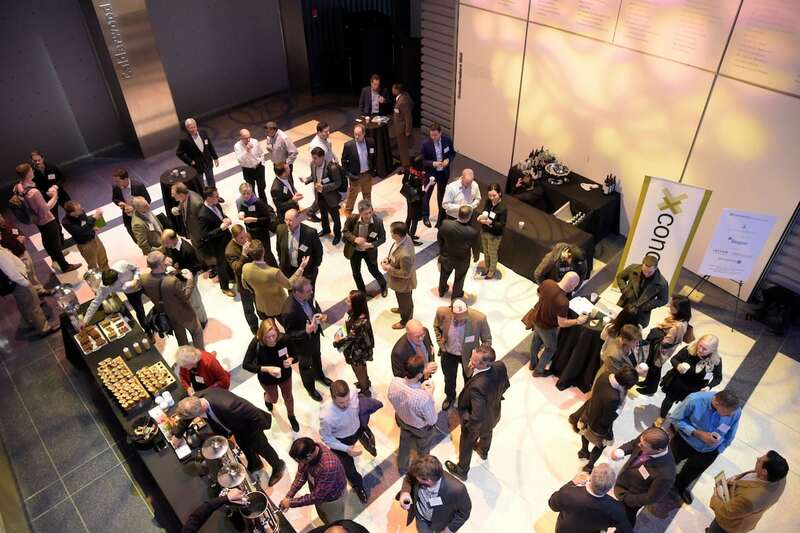 Also, a shout-out to our host and longtime partner, WGBH, for providing a spectacular venue. And special thanks to Keith Spiro Photography for the pictures above. 1. There’s no silver bullet for cybersecurity. 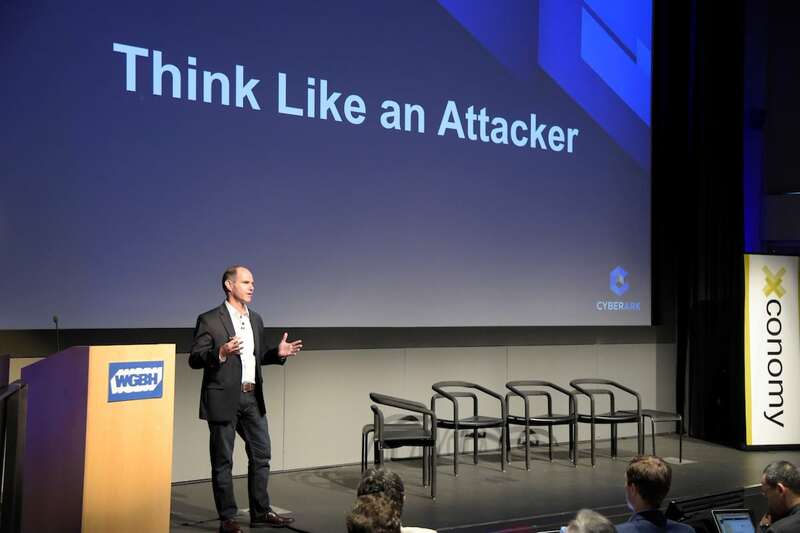 CyberArk’s CEO, Udi Mokady, said there’s a mindset shift in the industry to “think like an attacker” instead of an auditor. And also a shift toward partnerships between security companies. 3. You can combat ransomware with simple steps. Back up your data. Beware of phishing-style e-mails and educate employees about that. Compartmentalize systems and employees so if attackers gain access to one part of the business, they don’t get everything. And learn how to use bitcoin, Ali said, just in case you need to pay a ransom in a hurry. 5. “World War III will be a cyber war.” That was from Chris Lynch, a managing partner at venture firm Accomplice, stirring the pot as always. He added that cyberwarfare represents “the biggest threat to our way of life”—bigger than climate change or any other problems. 6. The future of security tech looks cognitive, analytical, and orchestrated. 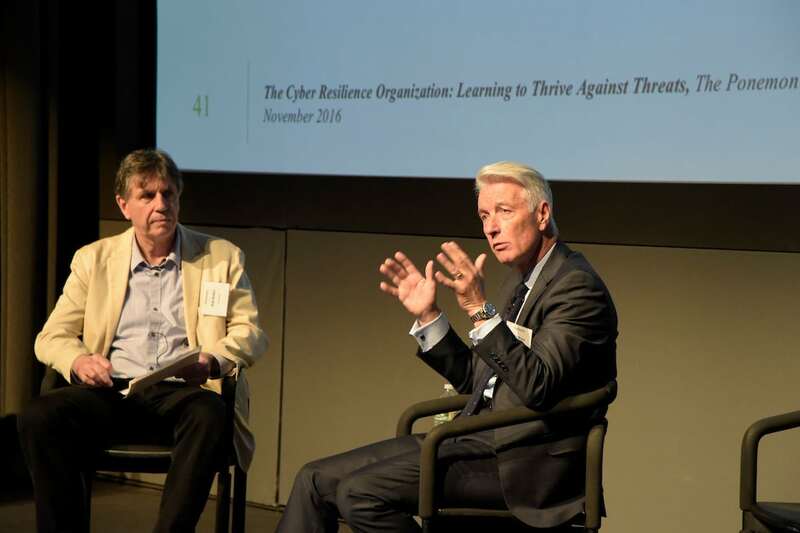 Carbon Black CEO Patrick Morley and Resilient CEO John Bruce (now part of IBM) both alluded to machine learning as an important part of the solution. 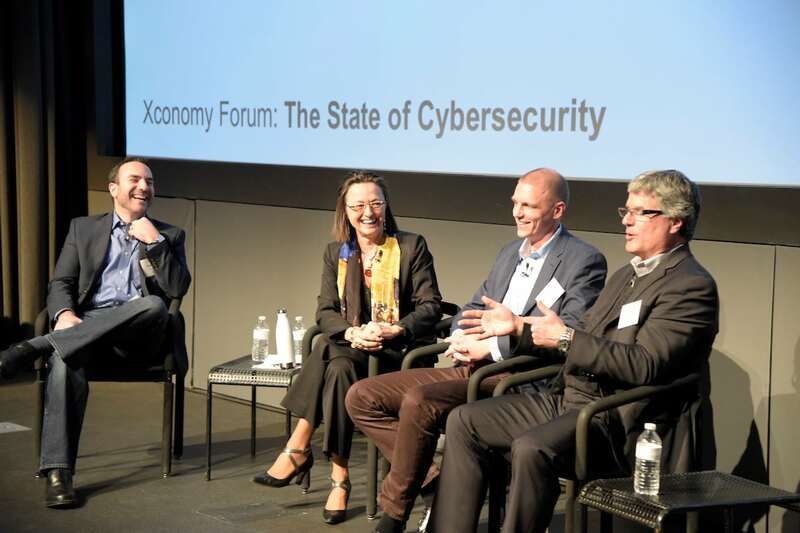 Morley emphasized the need to collect better data and context around device and server security, while Bruce and others talked about managing and coordinating the response to incidents and breaches. There’s a long way to go in both cases.